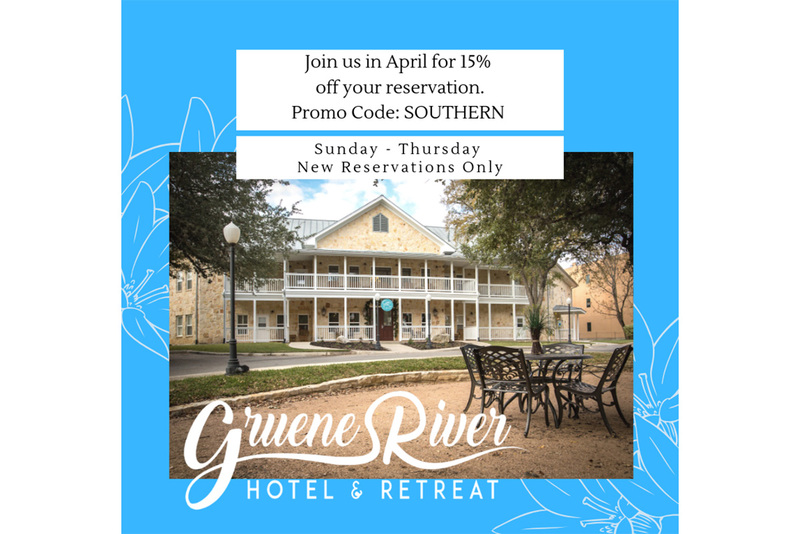 Book your stay at Gruene River Hotel & Retreat this April and enjoy 15% off your reservation fee. Use the Promo Code SOUTHERN. Valid Sunday through Thursday on new reservations only.